Liverpool manager Jurgen Klopp believes Sadio Mane was very unlucky to get the red card in the all important clash with Manchester City. 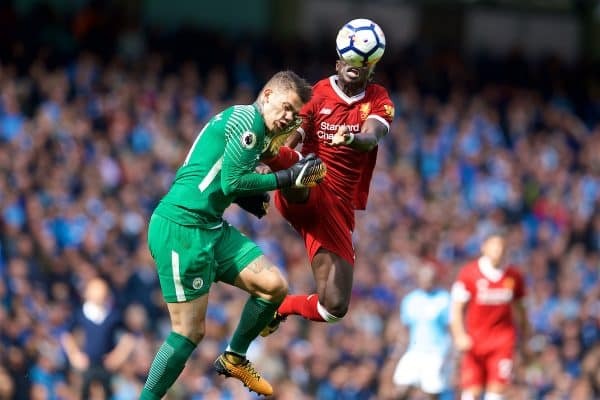 City goalkeeper Ederson was associated with an awful crash with the Liverpool forward amid the principal half of the Premier League conflict at the Etihad Stadium. The previous Benfica plug was gotten in the face by a high foot from Mane, who was along these lines given a straight red card by official Jonathan Moss. Ederson was expelled from the pitch on a stretcher following eight minutes of treatment and was taken to the close-by Manchester Institute of Health and Performance to be evaluated for breaks. The City number one at that point came back to the stadium towards the finish of the amusement and, while Klopp was diminished to see the attendant looking admirably, the Reds supervisor feels Mane's test was a mischance. Klopp revealed to Sky Sports: "I don't believe it's a red card, he didn't see him. I saw the goalie as of now and clearly it isn't so much that terrible. In the primary minute everybody thought it was truly awful. "It was unfortunate, it was a mishap. The goalkeeper turns out, Sadio needs the ball. To get a red card in a diversion like this is truly unfortunate."